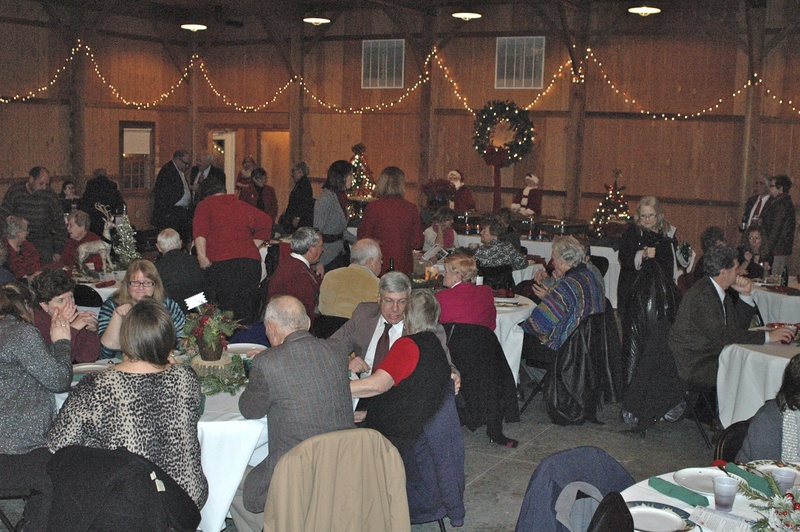 The Bonner Springs Rotary Club cordially invites you to attend our Annual Holiday Banquet to benefit Vaughn-Trent Community Services, a food pantry and social services organization, 6 p.m. Thursday, Dec. 3, at the National Agricultural Center and Hall of Fame’s Event Barn. 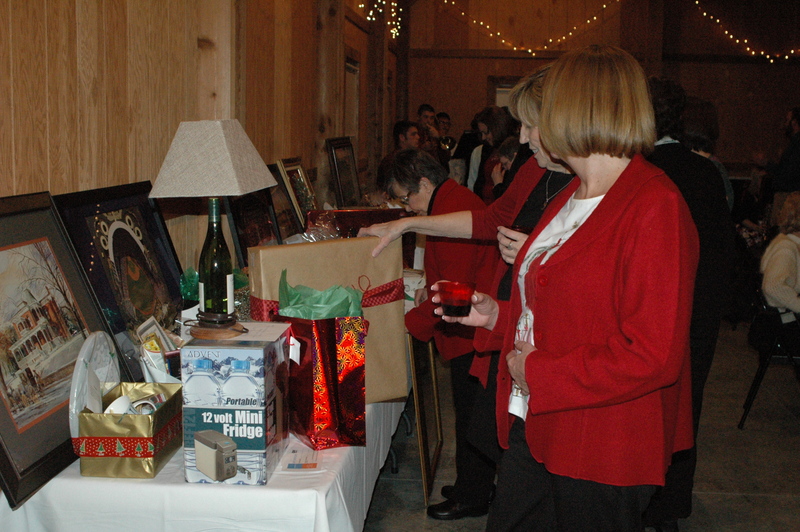 The event will include festive libations, good cheer and a holiday dinner, with a performance of seasonal songs by the Bonner Springs High School Choir and a live and silent auction. Please join us to kick off the holiday season and improve the holidays for those served by Vaughn-Trent. Read more about this event here. This entry was posted in Fundraisers, Rotary Programs, Uncategorized and tagged Annual Vaughn-Trent Holiday Auction, Bonner Springs Rotary Club, Sponsorship Opportunities, Vaughn-Trent Community Services on November 30, 2015 by bonnerrotary. 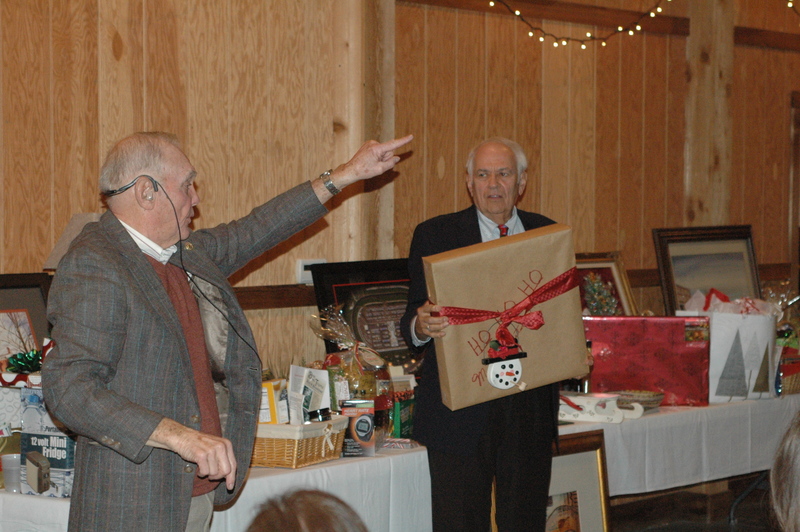 What an amazing evening for the Bonner Springs Rotary’s Annual Vaughn-Trent Auction held on December 5. 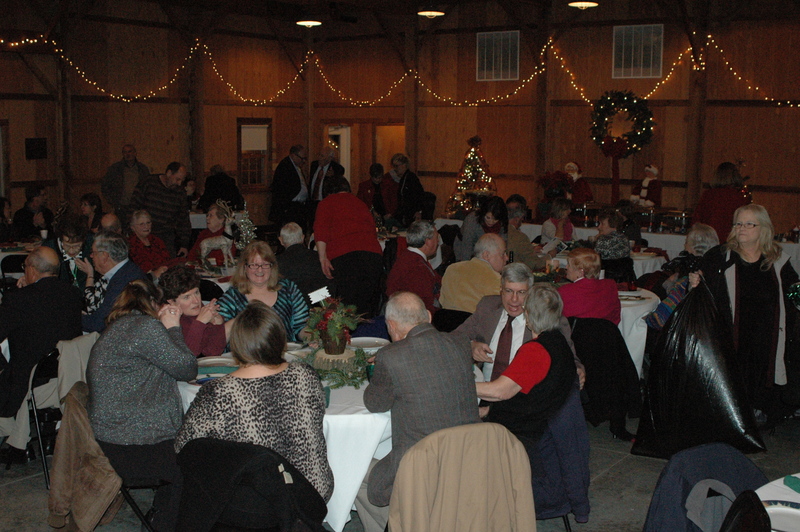 Almost 100 guests attended and bid on more than 50 auction items, raising more than $8,000 for Vaughn-Trent. 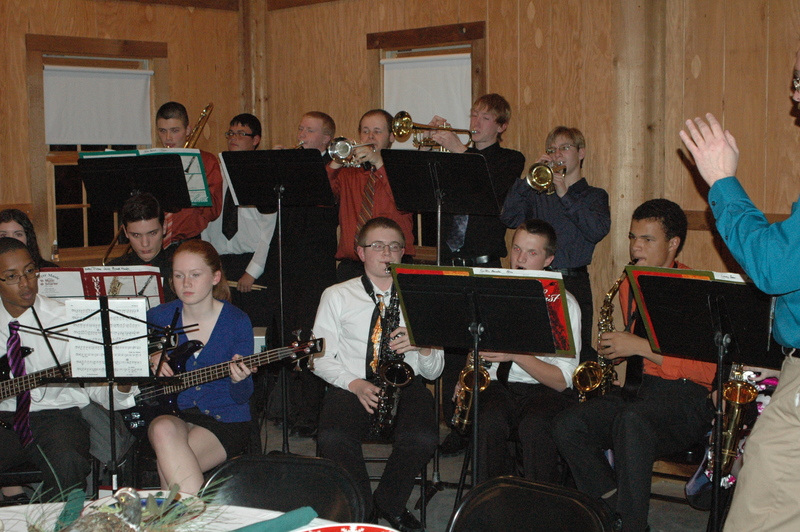 Congrats to the Rotary members who planned this memorable event and a special thank you for all who attended. Looking forward to the next Rotary event! Vaughn-Trent provides emergency assistance to those who live in the Bonner Springs school district and meet income guidelines. Services include: Free breads and pastries Mondays, Wednesdays and Fridays from 9am-noon; Food pantries; Utility assistance; and Christmas baskets the middle of December. To get involved with other Rotary service projects, contact us. This entry was posted in Fundraisers and tagged Annual Vaughn-Trent Holiday Auction, Bonner Springs Rotary Club on January 20, 2014 by Bonner Springs Rotary Club. 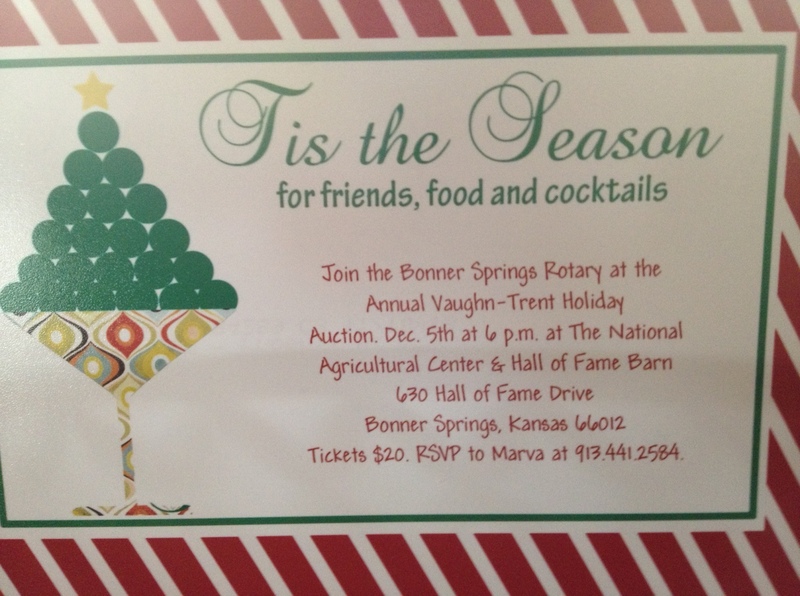 Keep an eye out for a lovely holiday invite to the Bonner Springs Rotary’s Annual Vaughn-Trent Holiday Auction. 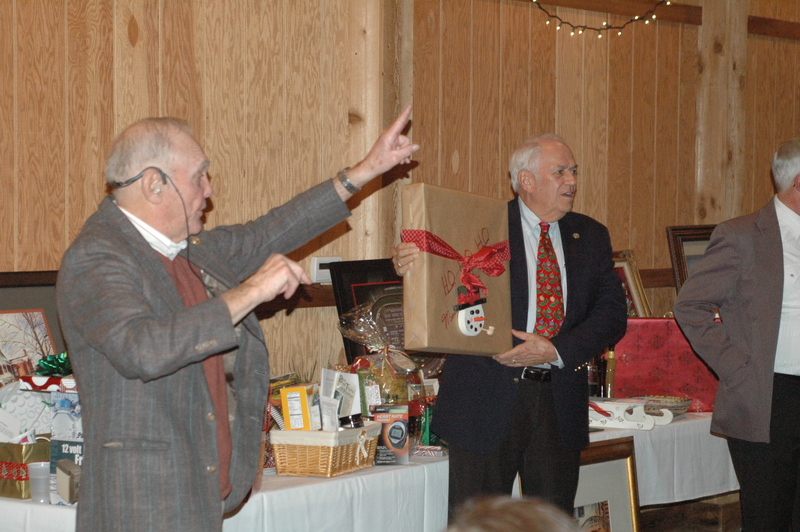 It’s Dec. 5 at 6 p.m. at the Ag Hall of Fame barn (630 Hall of Fame Drive Bonner Springs, KS 66012). Tickets are $20. RSVP to Marva at 913.441.2584. If you didn’t receive an invitation, no worries! Just contact us and let us know you can attend. We’ll make sure to get you on our contact list for next year’s mailing. Looking forward to another successful event that makes a difference in our community. Here is Si after a bath and just taking some stickers off his face that hold the nasal cannula in place. Sol Jacobson: Please continue to send your thoughts and prayers to Sol, Ali and Silas. Si is back in the hospital receiving extra oxygen. Despite everything, Si remains happy. Much love and support to this family. 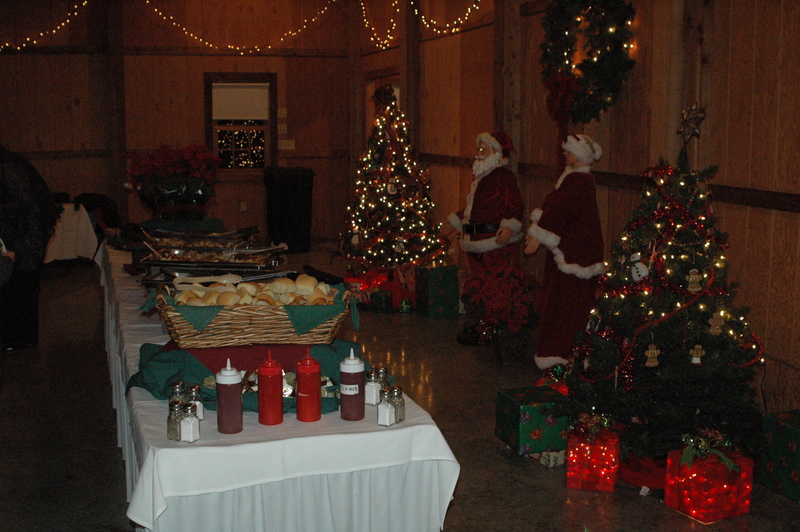 This entry was posted in Announcement, Rotary Programs and tagged Agricultural Hall of Fame, Annual Vaughn-Trent Holiday Auction, Vaughn-Trent Community Services on November 18, 2013 by Bonner Springs Rotary Club.